As the only UK supplier of Self electronic transformers we are pleased to retail this very popular transformer. These are new to the market and very popular. We use two of these transformers built in to the side of the mirrors located in our male and female toilets. A wave of the hand turns the mirror lighting on and a second wave of the hand turns them off. It's that simple!! High tech equipment at affordable prices. 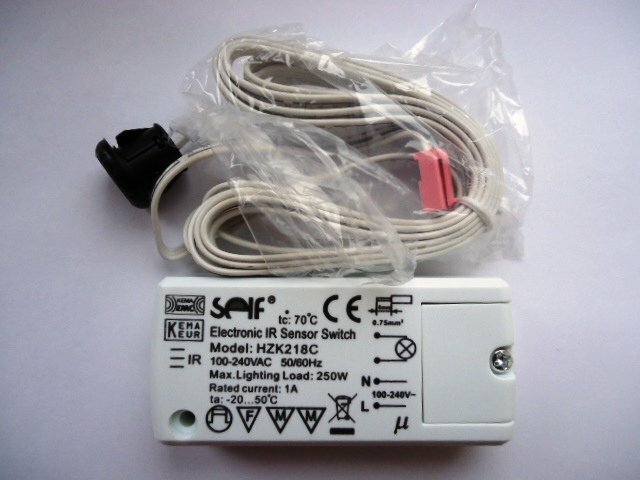 This sensor switch is ideal for appliances that you want to turn on and off by using the motion of your hand. The IR sensor is a discreet 13mm.